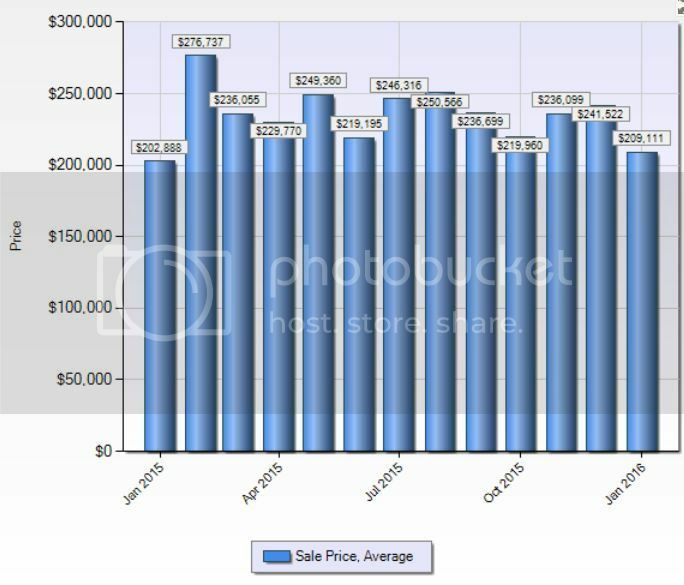 Stratford CT single famiy home sales continue to be positive in year-to-year comparisons. January 2016 closed sales INCREASED 57% compared to January 2015 sales. Listing and closed price averages went UP 1% and 3% respectively. The median was UP 5%. Days on the market went up 21%. The absorption rate for the month stayed in seller's market territory at 5.70 months, meaning if there was no new inventory, it would take 5.70 months to sell off the active 188 listings. Thinking of buying a home in Stratford CT? Moving forward, there are 44 houses under deposit and 61 pending sales (under contract). Which houses made the SOLD list in Stratford CT in January 2016? The 200K - $300K range just squeaked out the top spot for sales with the $100K - $200K range at its heels. Stratford CT remains a very desirable, affordable town for first time buyers and downsizers. The absorption TREND, which shows the number of months it would take to sell the entire inventory at the same pace, came in at 4.09 months for the last three months, still solidly in a seller's market. Keep in mind that this rate is for ALL houses. If you are selling your home, your agent should calculate the absorption rate for your price point to get a more accurate analysis. 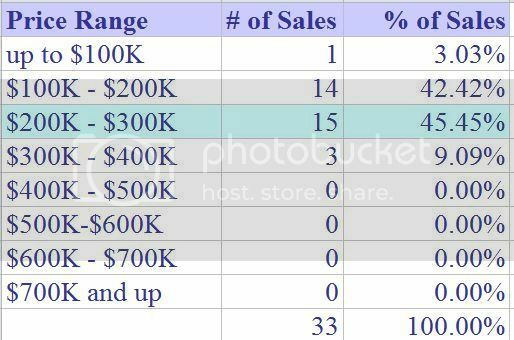 Some price points favor sellers; others favor buyers. CONTACT ME for advice on how to LIST, MARKET, and SELL your home effectively in today's market. All agents do not provide the same marketing services. Get the most for your listing dollars! Sellers: Please read Biggest Home Seller Mistakes if you are thinking of listing your home. Thinking about selling or just want to know what your home is worth? GET a FREE professional market analysis for your Stratford CT home. The January sales average was at the lower end for the year with 91% of sales below $300K. 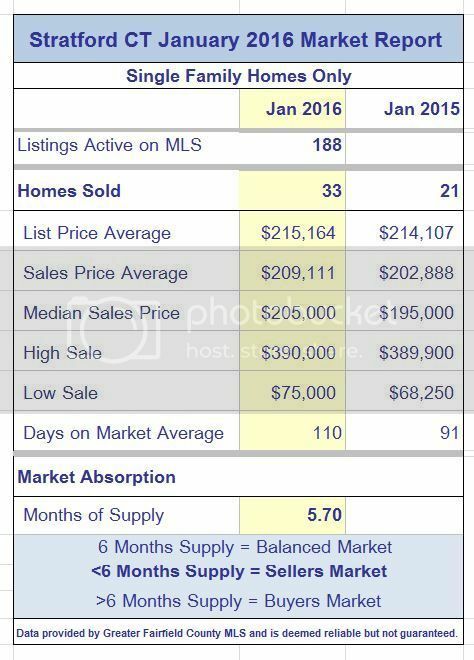 Check out previous sales and averages here. Looking for waterfront or homes near Long Island Sound? Check out Living in Lordship. 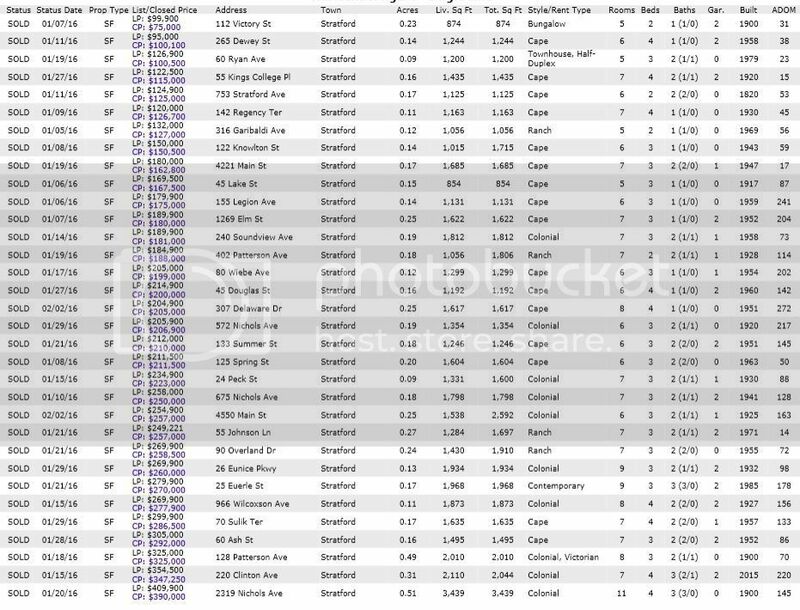 Date Source: Greater Fairfield County Multiple Listing Service -- February 25, 2016. No representation or warranty is made to the accuracy of this information.